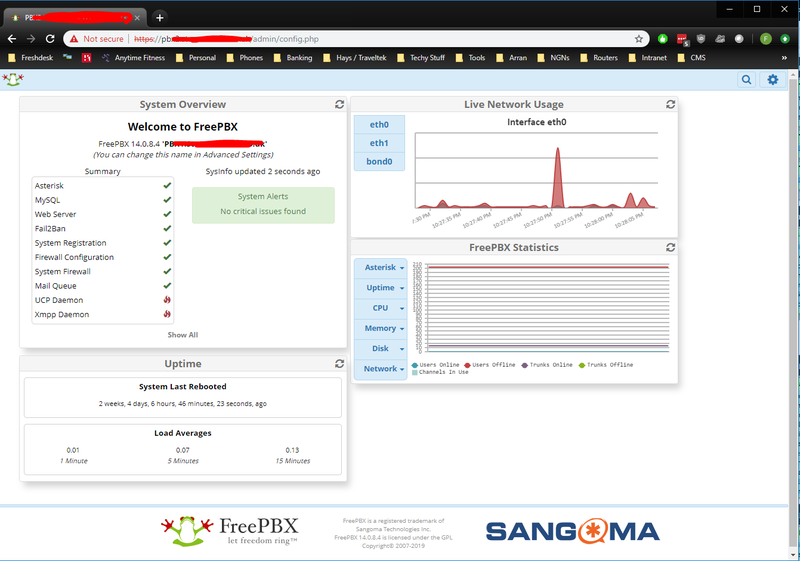 I just updated a bunch of FreePBX 14 modules however I believe I’m having a minor issue with the System dashboard module since upgrading where the title menu bar is missing. If I add ?display=index_ after the URL then all works as expected. Ignore the SSL warning - These screenshots were taken on my warm spare box. 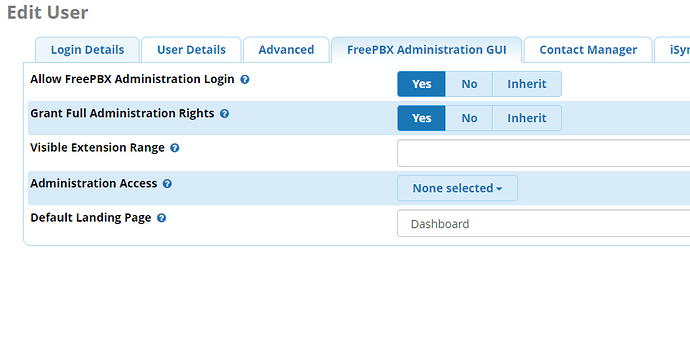 Are you logged in with a user that was generated via User management with Full Admin Rights set to Yes instead of selecting the modules from the drop down menu below this option? 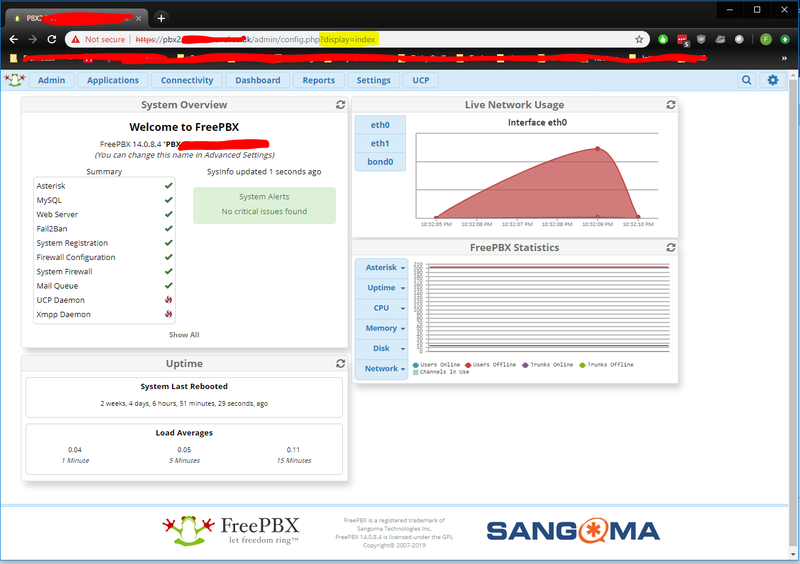 Your message got me thinking - I tried logging in using fwconsole unlock [SessionID] and this worked! I’ve changed Administration Access to Select All, clicked Apply, logged out then back in and it started working as normal. No problem. I ran into the same thing a few days ago. Prior to a patch it actually gave an error when you tried to login. The search bar still works which does allow for some navigation but your previous settings should have been good and I’m sure will be good once the bug is patched.